Tough as you may be, if you work in construction or around heavy machinery, you're going to need a reliable pair of work boot on the job site. Thanks to Timberland and their Pro Series Helix ($160), you'll be able to get your work done and maneuver around the site comfortably and without any worry. 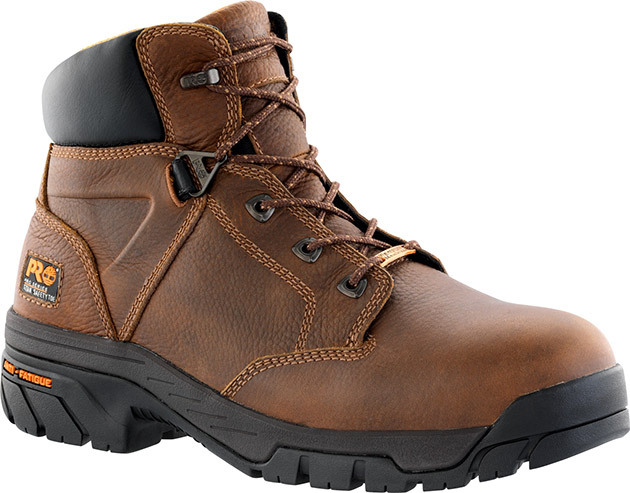 The Helix is crafted with rugged, waterproof full-grain leather and Timberland's latest and greatest TiTan alloy safety toe to provide extra protection that won't weight you down. Other features include a breathable mesh lining with Agion antimicrobial treatment, the Pro series rubber outsole, which is slip-, oil- and abrasion-resistant and built-in Ladder Lock outsole radius, Active heel lock lacing system, and more.